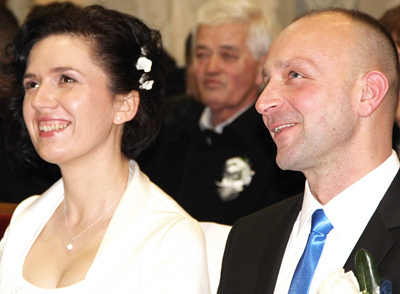 Saturday, January 11th at Vrbovec in Croatia, we celebrated the birth of a new family in our community! Daniel and Maja have consecrated their love in the Sacrament of Marriage! We thank God for their reborn lives that today wish to walk together. We entrust their union to the Virgin Mary, so that She may take care of them and bless them forever!